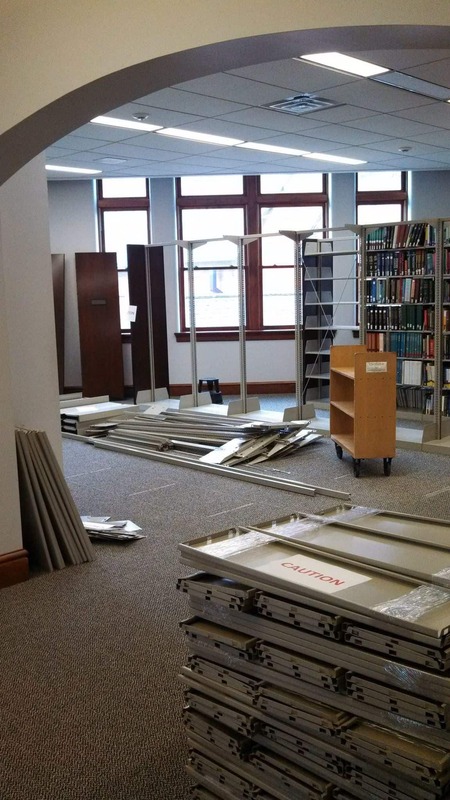 To improve findability of the journals held in the Main Library, the math collection journals are being moved from the 2nd floor to the 3rd floor and will be located adjacent to the other journals. 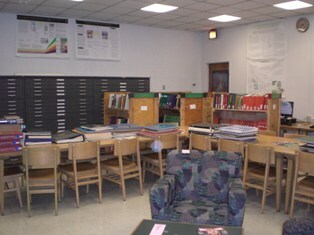 Bookstacks staff are beginning to move these materials upstairs and in a few months you will be able to find the math collection journals in the northeast corner of the third floor. 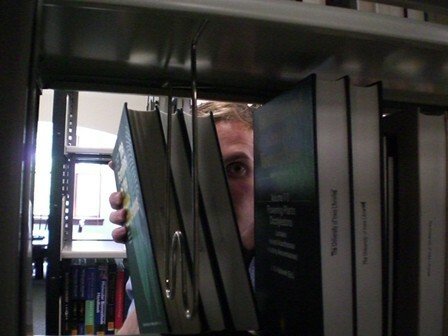 In the meantime, if you have problems locating a title, please contact the Service Desk staff on the 1st floor. 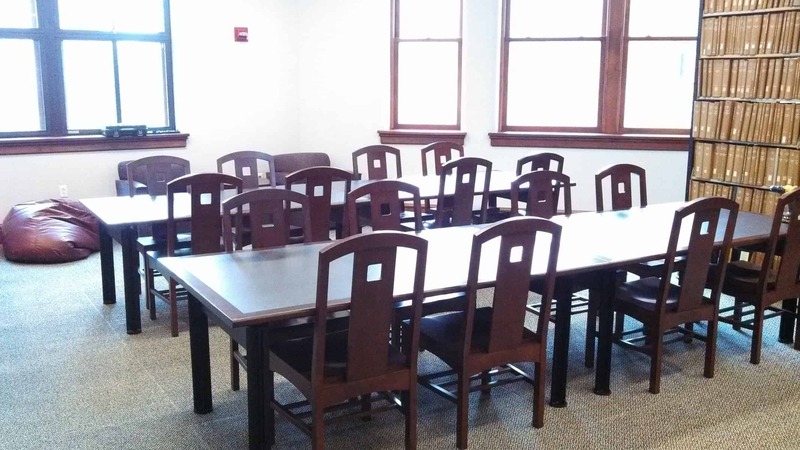 If you have any questions, please contact Leo Clougherty at the Sciences Library. Thank you for your patience as we make this transition. 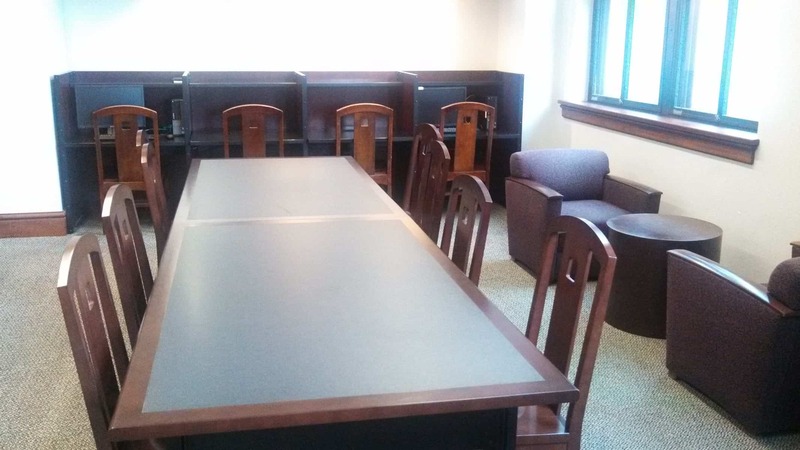 The new furniture has arrived for the study space on the third floor of the Sciences Library! All Libraries will be closed on Monday, May 27th for Memorial Day. Please pardon our mess. 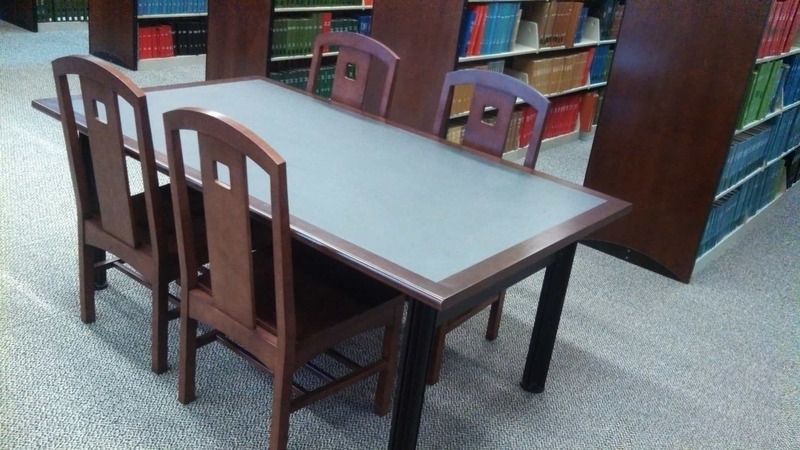 The Sciences Library is working to create more study space on the third floor. 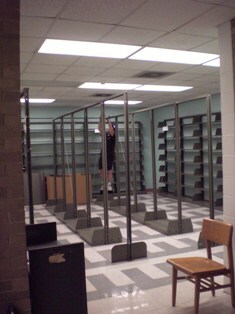 We’re taking down some empty shelves and moving in some new furniture. We’re looking forward to seeing it finished, but in the meantime, check out these photos of our progress. 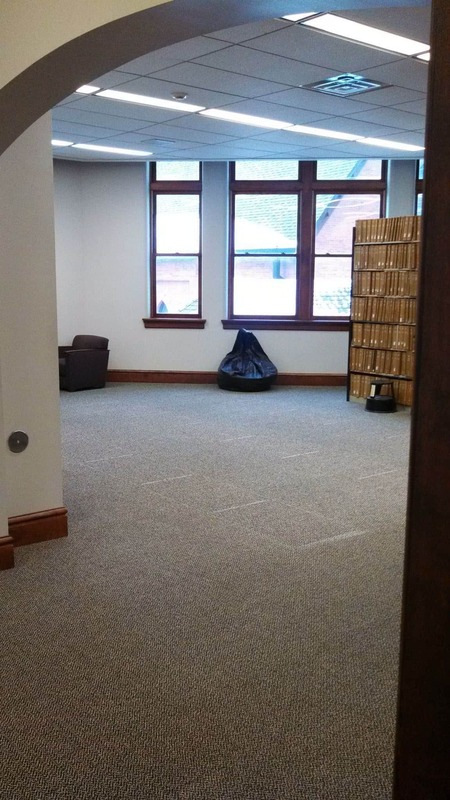 Today, the movers have been at all three libraries. 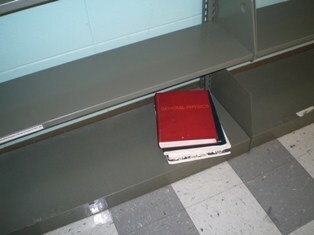 They began today at Physics collecting the rest of the books and journals. 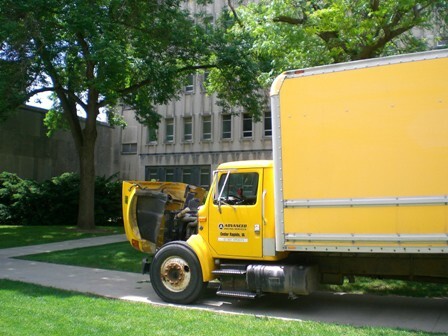 Other movers brought these physics materials to Biological Sciences and the storage facility. 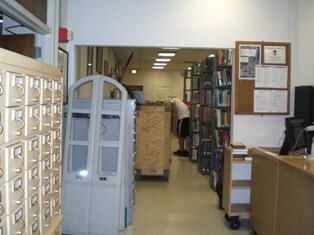 Then, the books and journals brought to Biological Sciences has to be put back onto shelves. 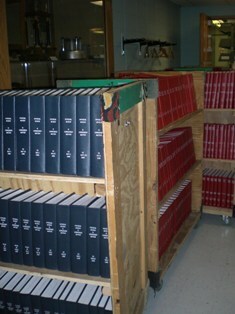 Once the first crew was finished with Physics, they started moving the books and journals at Geosciences. 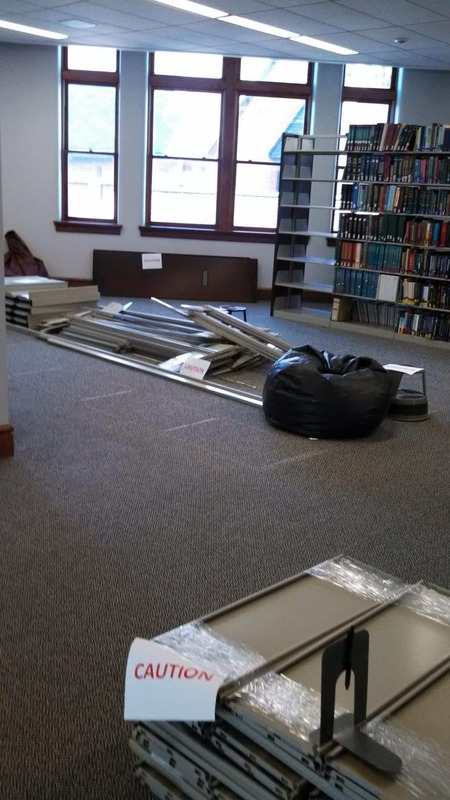 A third crew has continued to take down the shelving in physics all today. 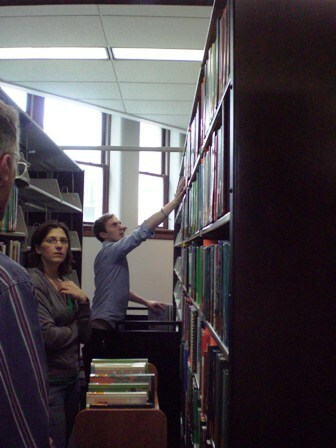 They discovered a group of books that have been hidden behind some shelves. 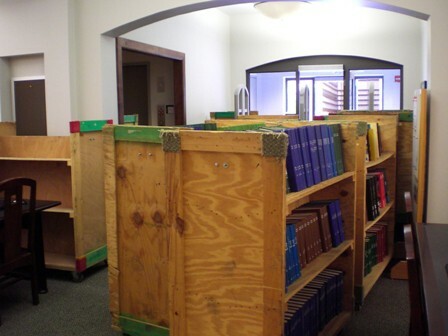 At 8 am, the movers arrived to begin hauling the journals to storage. Their day actually began at 7:30 with unloading of a truck from yesterday at the storage facility. 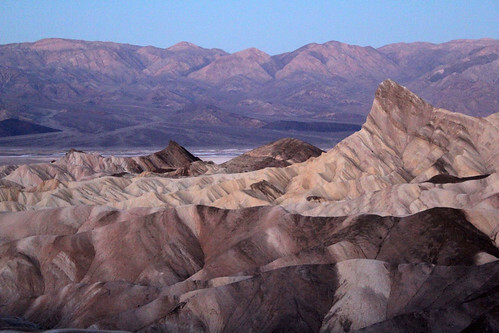 Cross your fingers for another good day! 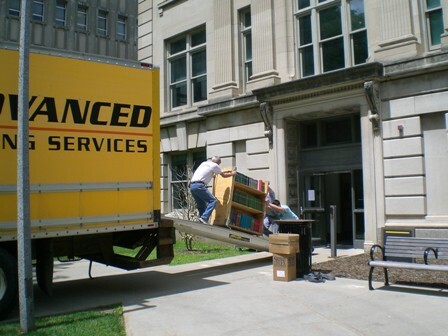 At 8:30 Monday morning, the movers started to haul some of the books and journals from Biological Sciences Library to the storage facility called Heinz Road Annex. 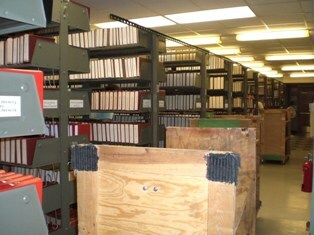 This will make room in the building for the Physics and Geosciences collections. 1. Elevator at Biological Sciences quit working for about 20 minutes. 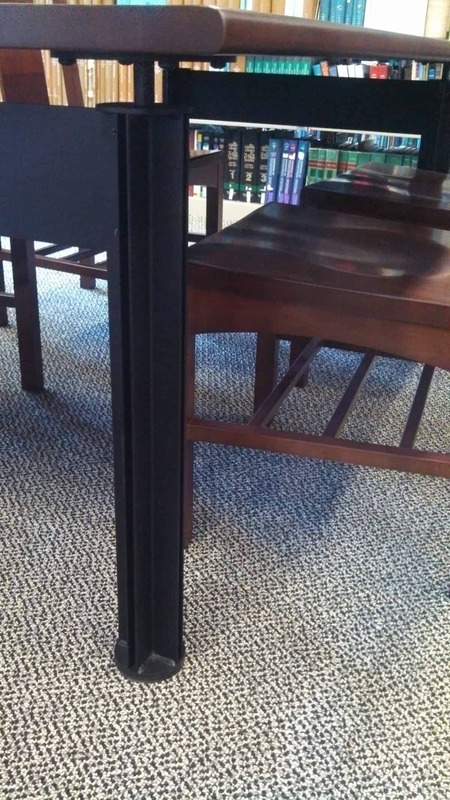 It magically started working while the movers were on lunch and before the technician got there. 2. 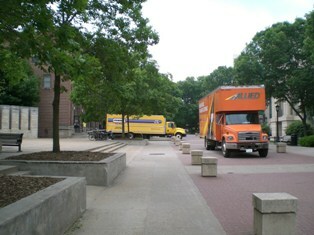 Someone also parked in spot so the moving trucks could not get out as easily. 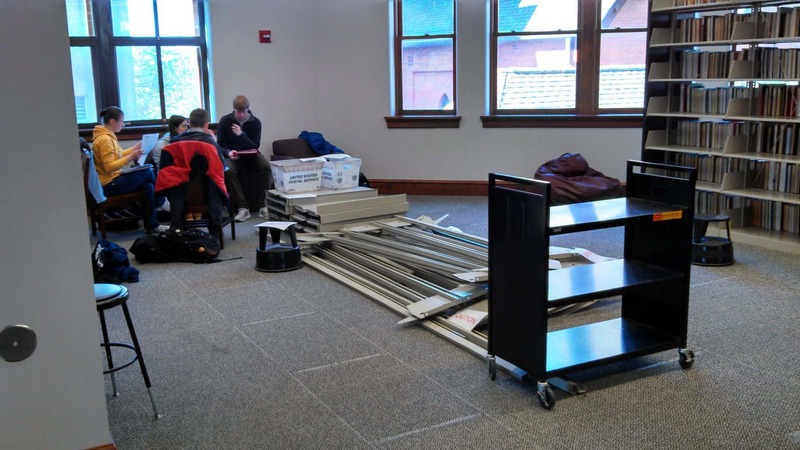 While the movers were working, library students (Brandon, Kim, and Christine) moved the books remaining in Biological Sciences to make room for the books coming from Physics & Geosciences. A lot was completed today. 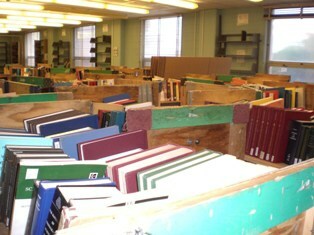 The remaining books in Biological Sciences were shifted to make room for Geosciences & Physics books. We’re off to a great start! Good work everyone!